Final Fantasy X/X-2 HD will be hitting Japanese shelves December 26th on both the PS3 and PS Vita. Square Enix did not reveal the EU/US release date. 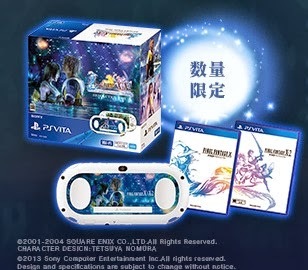 Final Fantasy will also be released alongside "Resolution Box" a PS Vita bundle which includes the brand new PS Vita 2000 and copies of Final Fantasy X/X-2 HD. Let us know what you think of Final Fantasy on PS Vita in the comments below!